Fused and slumped plate glass shade, warm with color and pattern, highlighted with metal details. Glass disc diffuser provides glare free light. Includes two low-voltage, 35 watt halogen bi-pin lamps and six feet of field-cuttable suspension cable. 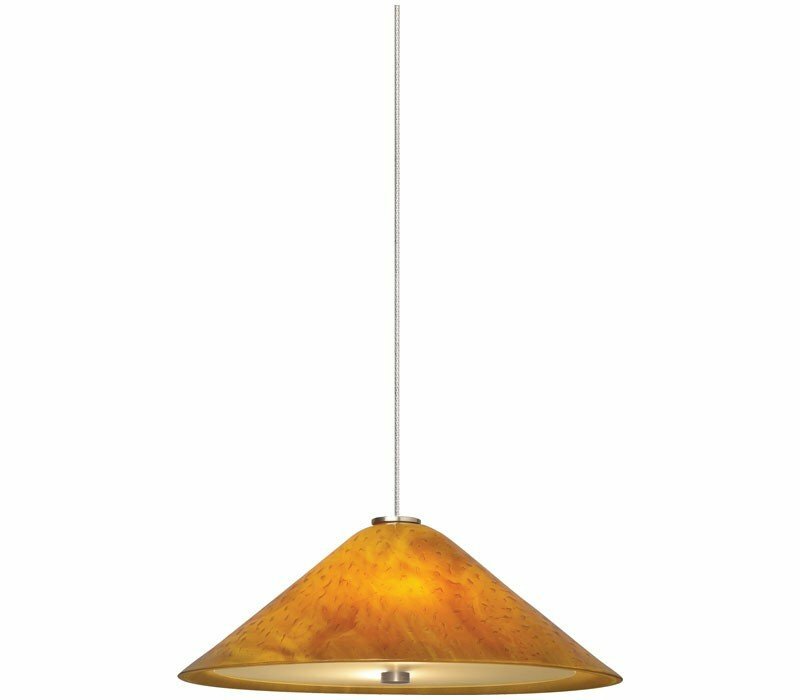 The Tech Lighting 700MOLRKAS Mini Larkspur collection Track Lighting in Satin Nickel uses Halogen light output and brings Modern style. This item is 3.8"H x 11.4"W. The total wattage is 70 and the voltage is 12 volts. The Tech Lighting 700MOLRKAS requires 2 bulbs (not included). 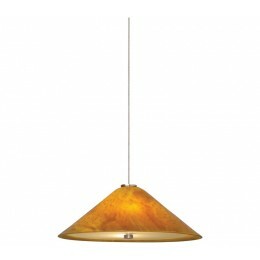 Additional Information: Shade-Beach Amber Glass with Frosted Glass Diffuser.